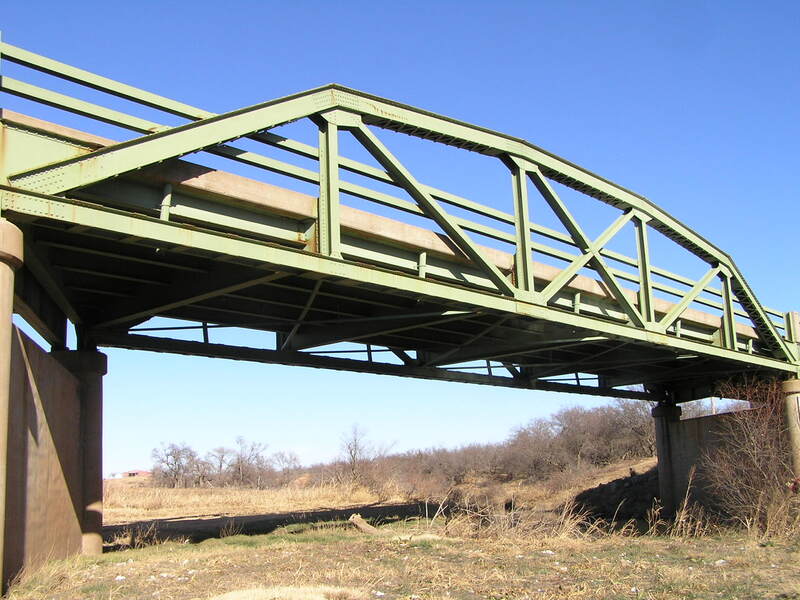 Built in 1939, this skewed bridge seems just as it was built. Everything is intact and in good shape. 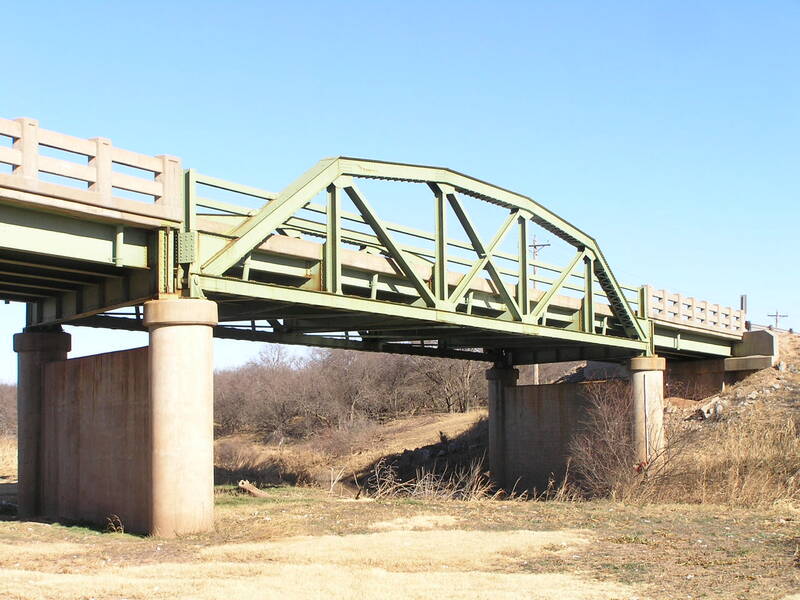 The bridge features a 100 foot riveted Parker pony mainspan and three steel stringer approach spans with concrete railings. 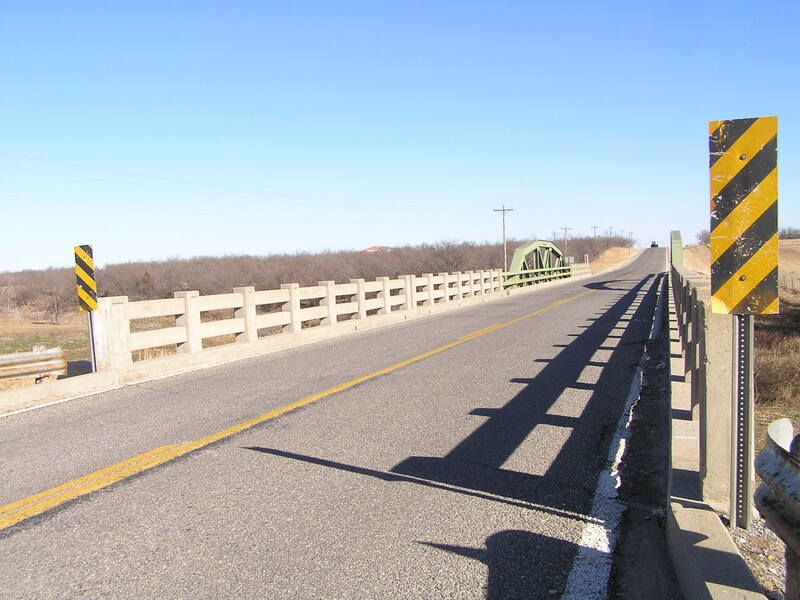 All spans have concrete decks with a newer asphalt overlay. 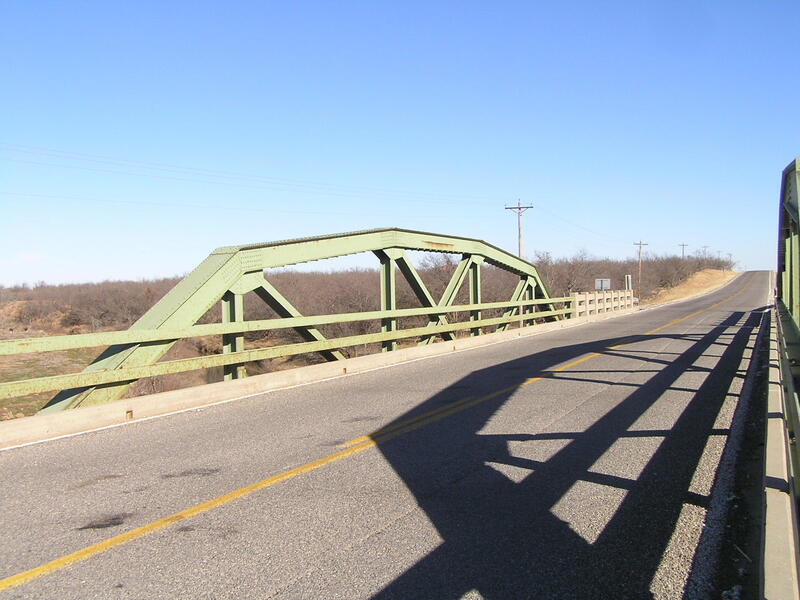 Overall length of the bridge is 256 feet. The width between the curbs is a generous 24 feet. 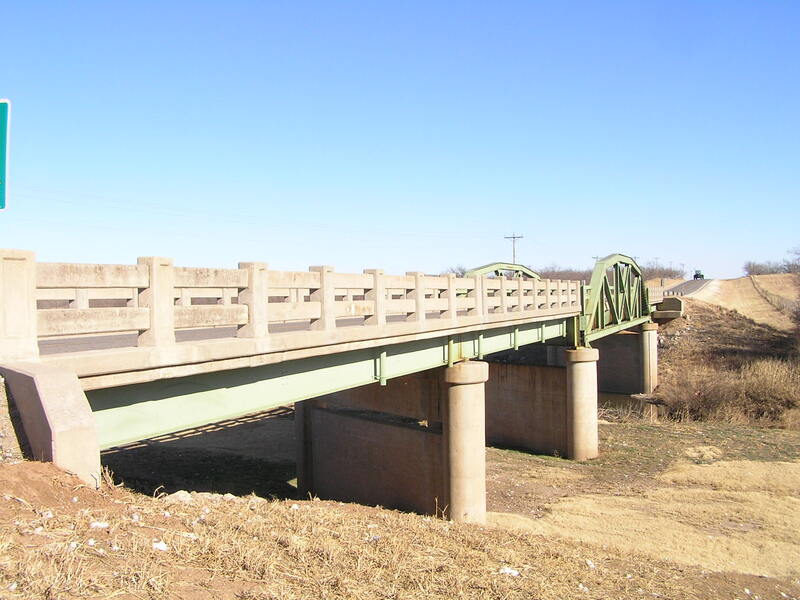 This bridge is located near Eldorado. The photo above is looking through the bridge. Below, a view along side the structure. Above, a side view of the mainspan. Below, this view shows the skew quite clearly. 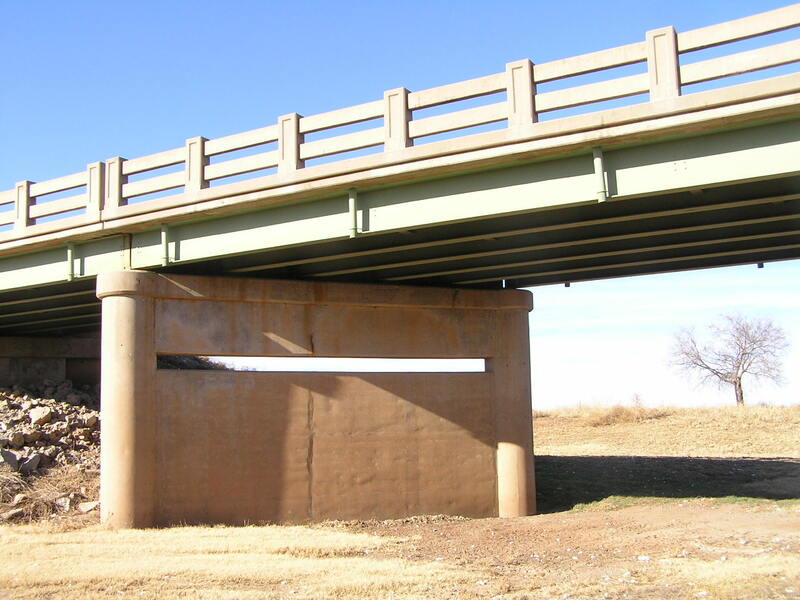 Above, wide pier spacing and a long shear wall are characteristic of skewed bridges. Below, a deck view of the truss. The bridge wears the green paint well, and it is a good color.